Oh, there's way too many farmer's markets to choose from this weekend! Ebisu with Afuri Ramen just around the corner or Nippori with the battalion of Aizu Wakamatsu growers on hand or the UN University Night Market? Seriously, what is a vegetable geek supposed to do? Bust out an extra shopping bag and hit the road, that's what! See you there! 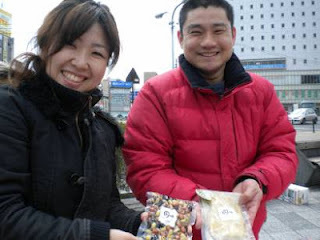 Just a short comment to thank you for posting the schedules of Tokyo Farmer's Markets. I find it very helpful. Celine, that is the nicest note ever! You are very, very welcome. I'm so glad to hear that someone out there finds it useful. Do you have a regular market you venture to? I'm hoping to head out to the Earth Day Market myself, today.